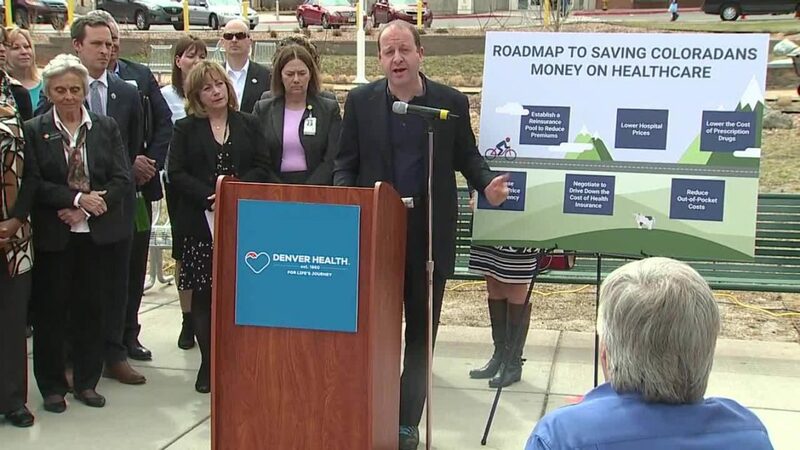 DENVER – Colorado’s governor, lieutenant governor and a host of lawmakers and health care stakeholders on Thursday detailed the roadmap they plan to follow in order to try and reduce the cost of health care services across the state. Primavera is leading the Office of Saving People Money on Health Care. She and Gov. Jared Polis laid out a series of bills and other initiatives – both short- and long-term – they say will help keep costs down for Coloradans. They praised the steps already taken in the state to reduce uninsured rates from nearly 16% in 2013 to 6.5% this year. But said that the falling uninsured rates haven’t led to lower costs, particularly in mountain counties and other rural parts of the state. Polis praised the legislature’s passage of HB19-1001, the hospital price transparency bill that aims to study the cost of care in Colorado. He also urged lawmakers from both parties to back some of the measures he is supporting this session, including the establishment of a reinsurance pool, more regulations of certain emergency rooms, and a Canadian prescription drug importation program, among others. Aside from the short-term goals, the governor’s office said some of its long-term goals including launching a state-backed health insurance option and expanding the rural health care workforce and behavioral health system across the state. Polis said the Behavioral Health Task Force would be established this month and would have a strategic plan statewide by June 2020.